WASHINGTON (AP) — The top Republican and Democrat on Capitol Hill have announced an agreement to keep the government running on autopilot for six months when the current budget year ends on Sept. 30. 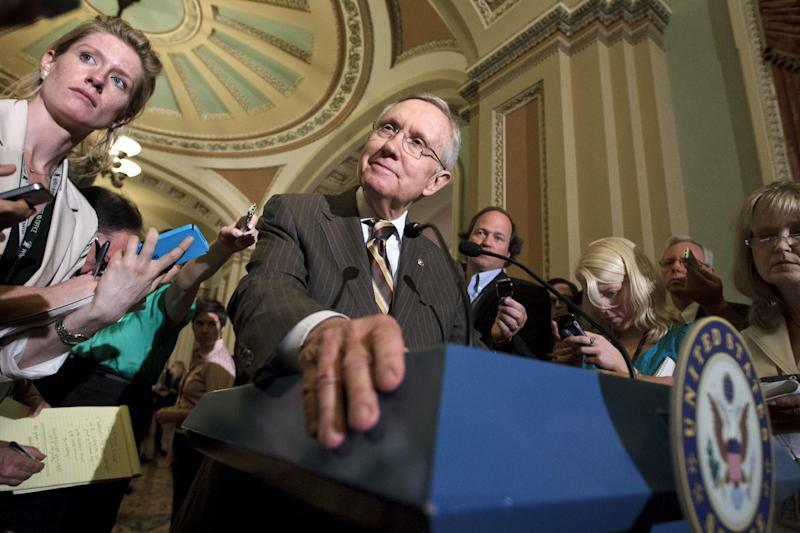 The announcements by Democratic Senate Majority Leader Harry Reid and GOP House Speaker John Boehner are aimed at averting any chance of a government shutdown this fall. The legislation will pass in September. The deal would also lighten the crush of business in a post-election congressional session agenda that's already overloaded. 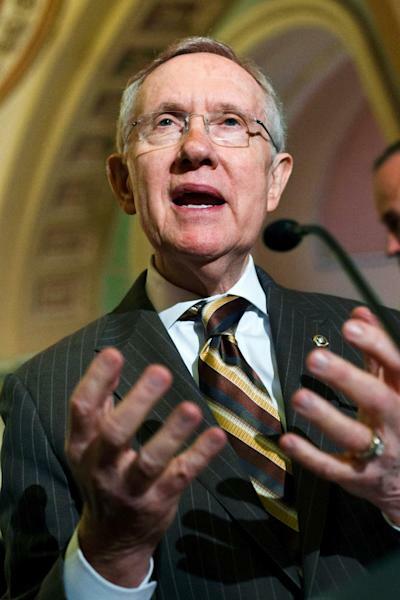 "The speaker and I and the president have agreed that we're going to fund the government for the next six months," Reid said. "It'll provide stability for the coming months." The agreement would fund the government at levels called for by last summer's budget and debt pact between Boehner and President Barack Obama. While precise details will be ironed out over the August congressional recess, the deal embraces spending at a total annualized rate of $1.047 trillion for the day-to-day operations of Cabinet departments like the Pentagon and other federal agencies. "We are encouraged that both sides have agreed to resolve this issue without delay," White House Press Secretary Jay Carney said in a statement. "The President has made clear that it is essential that the legislation to fund the government adheres to the funding levels agreed to by both parties last year." That's a retreat for Republicans, who had sought to cut $19 billion below the budget agreement reached last summer with President Barack Obama and shift $8 billion more from domestic agencies to the Pentagon. The alternative of risking a government shutdown just weeks before Election Day was an unacceptable alternative to GOP leaders who want to keep the spotlight off of Congress and on the presidential race in the weeks running up to Nov. 6. A House GOP leadership aide said the decision to take the issue of a government shutdown "off the table" was intended to keep the larger focus on jobs and the economy, where Republicans think Obama has failed and is most politically vulnerable. The aide required anonymity because he or she was assessing the political considerations of the decision and was not authorized to do so publicly. The six-month funding bill, known as a "continuing resolution" in Washington parlance, punts a huge number of decisions into the lap of the next Congress and whoever inhabits the White House. If Mitt Romney is president, he has promised immediate 5 percent across-the-board cuts to most domestic appropriations accounts funded by Congress every year. Obama vows to live within the 10-year spending "caps" agreed to last year.